If you are serious about getting an Emirates Cabin Crew Job then we've got a serious offer for you. Quite simply it's the world's first and most complete package aimed specifically at getting you that golden call from Emirates. ♥ A guide to the Emirates HireVue video final interview. 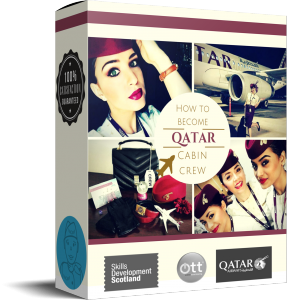 If you are serious about getting an Qatar Cabin Crew Job then we've got a serious offer for you. Quite simply it's the world's first and most complete package aimed specifically at getting you out and working in Doha in your dream job. Like we said we've got everything you need right here. If you are serious about getting a British Airways cabin crew job then we've got a serious offer for you. Quite simply it's the world's first and most complete package aimed specifically at getting you working for one of the world's largest and most prestigious airlines. ♥ A detailed guide to the online assessments, so you can fully understand exactly what British Airways are looking for and get some practice in before you apply for real! ♥ A British Airways grooming guide, to ensure you always look your best!A British Airways fact-file on the airline, so you can impress throughout the whole process! ♥ An incredibly extensive guide to the British Airways assessment day which covers EVERYTHING from beginning to end so you'll never be surprised at what's coming next! The world's first approved cabin crew membership program with genuine life changing success stories from everyday people - and you can be next. It Is Your Essential, Affordable Resource for the Training, Advice, and Support you need to Get A Cabin Crew Job. ♥ Open day selection process and support via a private VIP Facebook group. New2Crew has been developed by qualified experts, is fully approved and works with ANY airline. 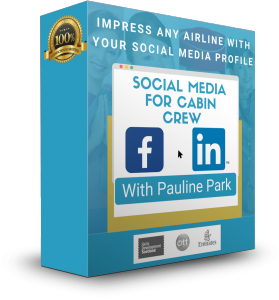 Pauline Park is a world renowned airline recruitment expert - why not let her review your CV for you and avoid the disappointment of missing out. 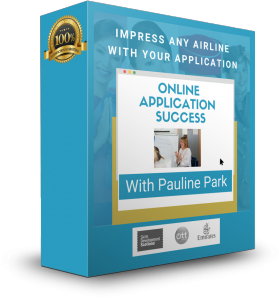 Pauline Park is a world renowned airline recruitment expert - why not let her re-write your CV for you and avoid the disappointment of missing out. Avoid the 7 Deadly Facebook Sins that will cost you your dream cabin crew job. 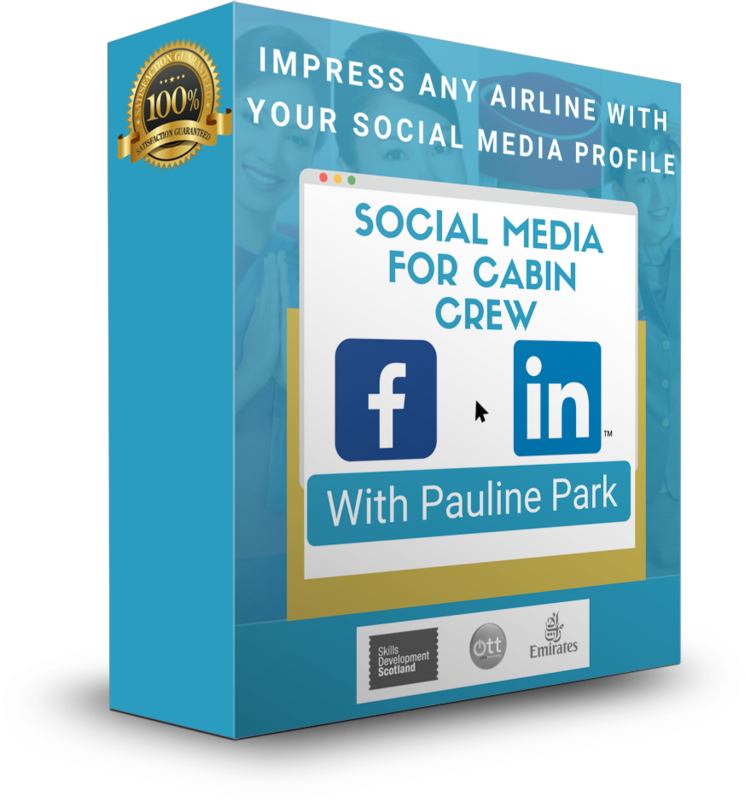 If you are serious about getting a cabin crew job then you'll need to take care of your social media because airline recruiters will Google you. This course has been developed by Pauline Park, a qualified Aviation Lecturer and recognised expert on airline recruitment. So you want to be cabin crew? Why wouldn't you, it's a great job but that's the problem with great jobs - everyone wants one! This course is designed to cut through the crowds and get you to an assessment day. The first hurdle you'll face if you want to be cabin crew is getting to an assessment day. Why not get some expert help with a course that will take you through everything you need to get to the airline assessment day. ♥ Step 4 - How to improve your scores in the situational judgement, screening questions, verbal reasoning and psychometric tests. ♥ Step 5 - How to deliver the perfect video interview (because an increasing number of airlines are using video interviews to recruit cabin crew). ♥Step 6 - How to prepare for your assessment day. 6 Steps to a Cabin Crew Assessment Day has been developed by qualified experts, is fully approved and works with ANY airline. This course does what it says in the title ! It takes you through the 10 steps you need to follow to achieve your cabin crew dreams. The ultimate guide to taking you through the entire cabin crew recruitment process. Over 40 hours of online study designed to get you ready for the job of your dreams. ♥ Step 7 - How to stand out during the group activities on the assessment day. ♥ Step 8 - How exactly the airline recruiters are scoring you on an assessment day (and what you need to do to improve your score). ♥ Step 9 - How to totally smash the 2 to 1 interview. 10 Steps to Cabin Crew Success has been developed by qualified experts, is fully approved and works with ANY airline. 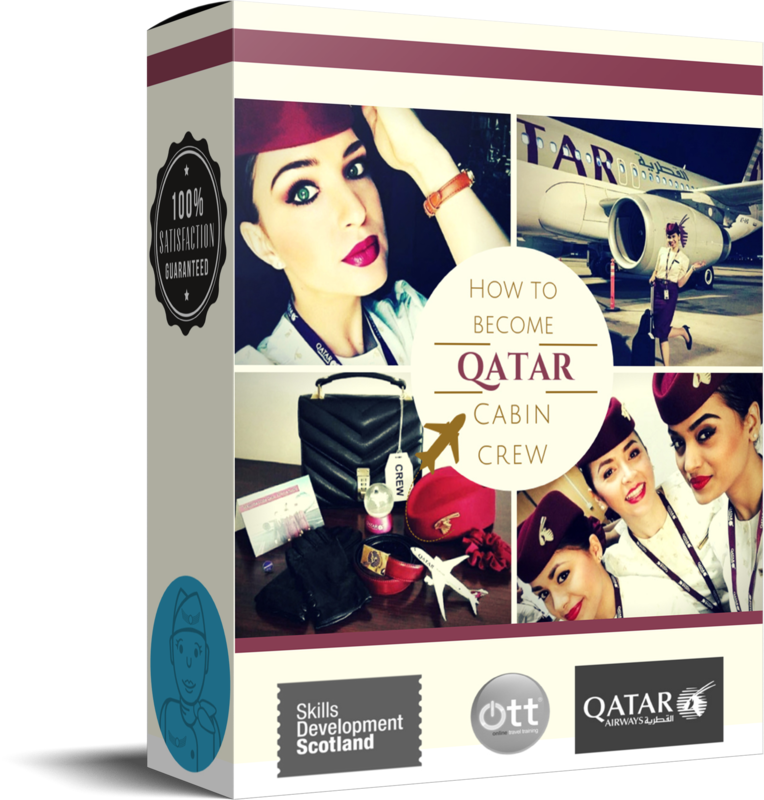 This is a great value course that will give you everything you need to create a stunning cabin crew CV. Create a Stunning CV has been developed by qualified experts, is fully approved and works with ANY airline. 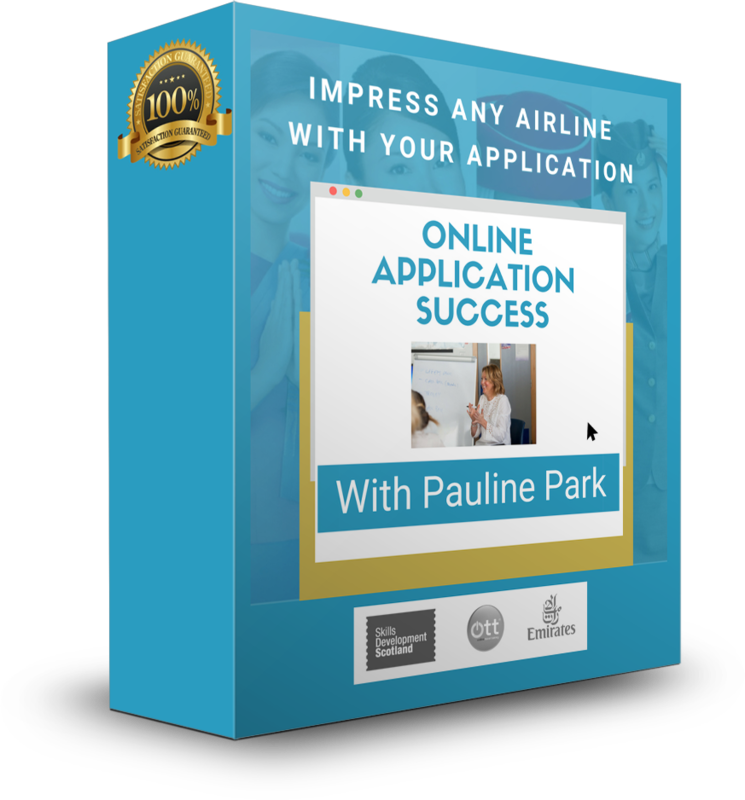 This is a great value course that will give you everything you need to create a the submit a successful cabin crew application online. Cabin Crew Online Application Success has been developed by qualified experts, is fully approved and works with ANY airline. How To Pass Any Airline Test has been developed by qualified experts, is fully approved and works with ANY airline. This course will give you everything you need to pass your assessment day. 5 Steps to Smash your Assessment Day has been developed by qualified experts, is fully approved and works with ANY airline. This course will give you everything you need to smash your video interview. The Cabin Crew Interview Success course has been developed by qualified experts, is fully approved and works with ANY airline using video interviews. Passing a cabin crew assessment day is never easy but don't worry, we've got your back. The How to Pass the Airline Assessment Day course has been developed by qualified experts, is fully approved and works with ANY airline. The final interview is the last hurdle you'll need to overcome to land your dream job. The course will give you an incredible advantage. The Pass the Airline Assessment Day Final Interview course has been developed by qualified experts, is fully approved and works with ANY airline.